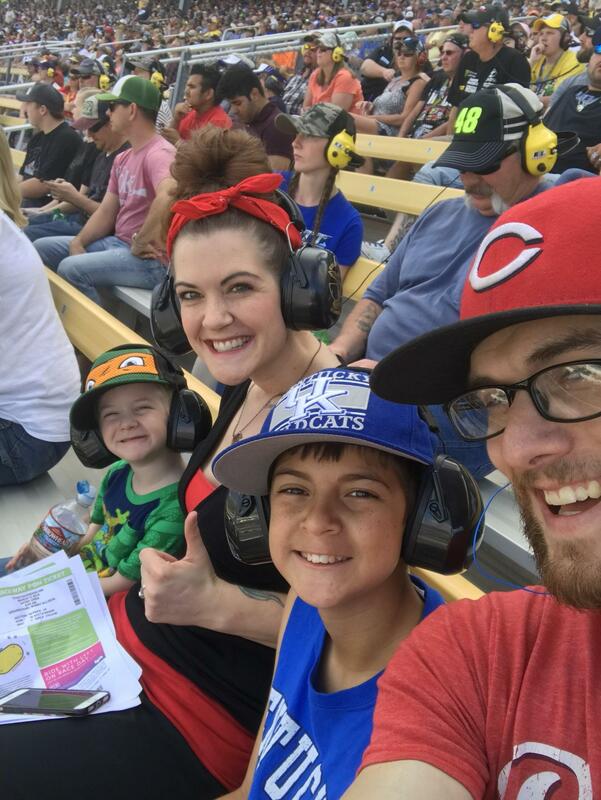 Thank you for letting us experience the nascar race at PIR! 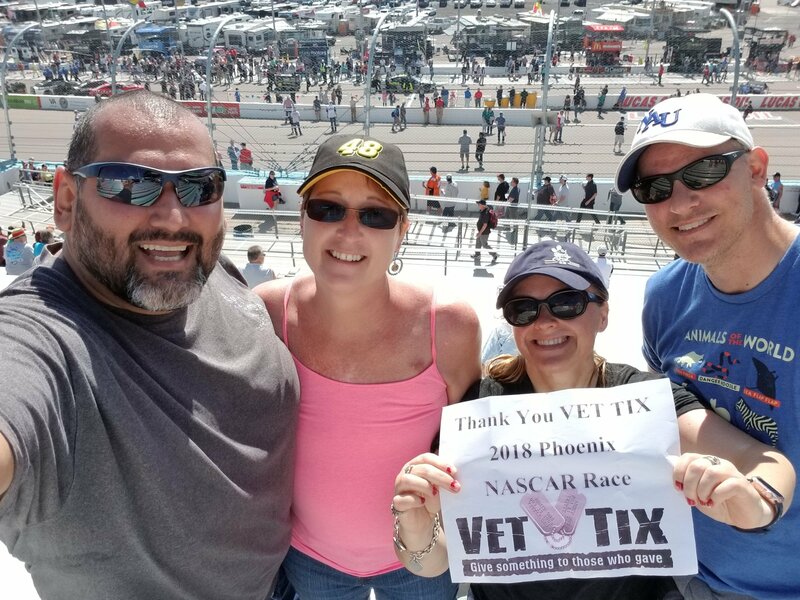 Thank you Phoenix International Raceway and Vettix for a great day with friends at the race! My family and I had such a great time!! Thank you so much PIR for the tickets! 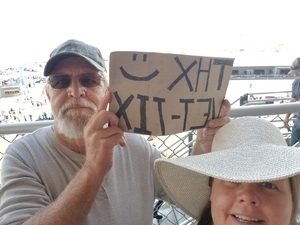 We had really great seats! What a wonderful experience! I would like to thank Phoenix International Raceway-ISM for the tickets to theTicketGuardian 500 on March 11, 2018! 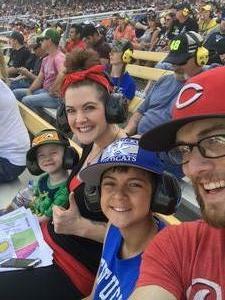 It was a great day with my grandsons and son in law. 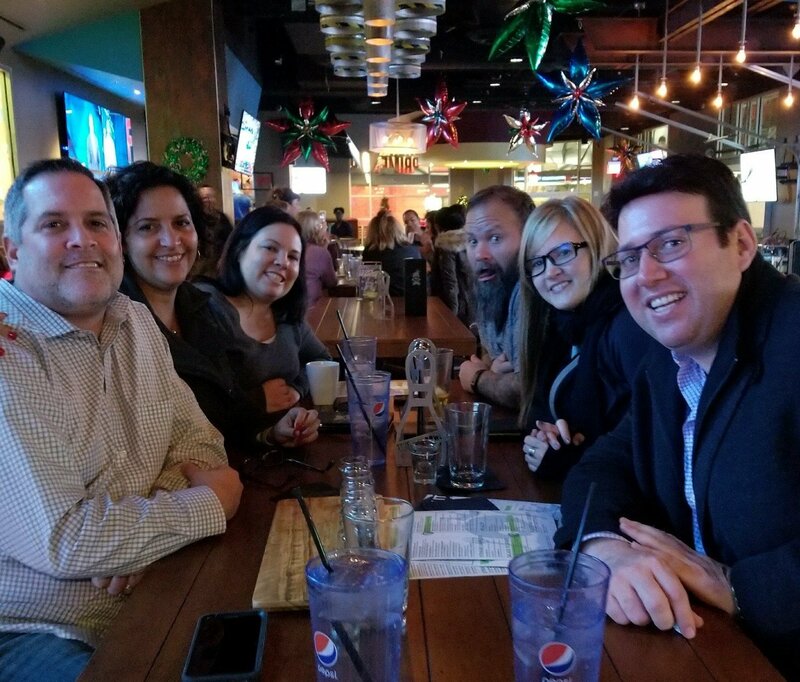 I really appreciate the fact that the generous ticket donation has given me precious memories of time spent with family. 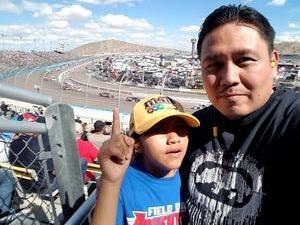 What a great time we had at PHOENIX INTERNATIONAL RACEWAY, THE SEATS WERE WONDERFUL. Thank you for your generous donation,which gave me and family the opportunity to enjoy the Ticket Guardian 500. We had an amazing time. 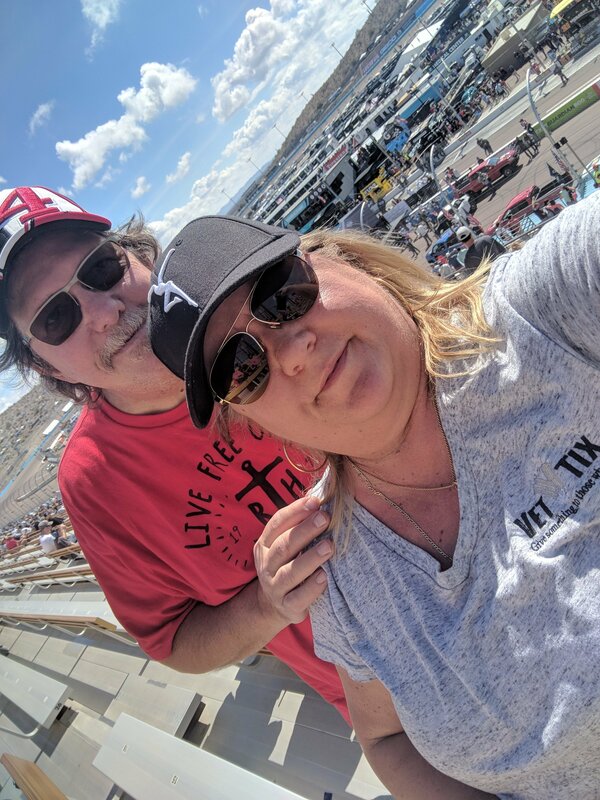 We had a great time at the race! Thank you VET-TIX!!! 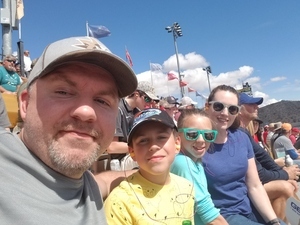 Had a fantastic time at the race with friends and family. Thank you vettix! 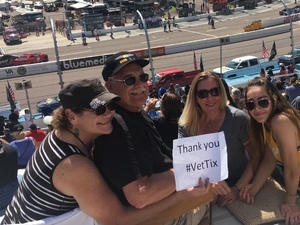 Than you so much VetTix and PIR for the tickets - our entire group had an awesome time at the track!!! 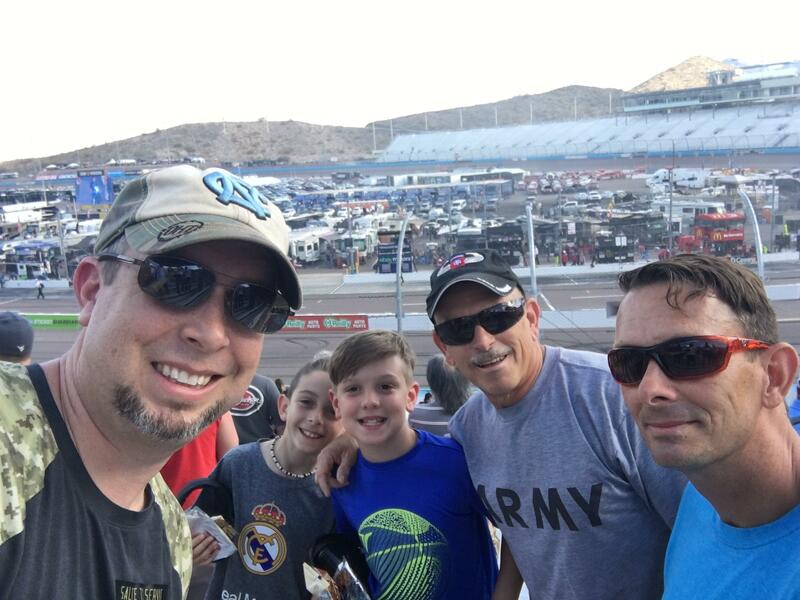 Great event - from the National Anthem & F-35 Flyover to the last lap - crazy energy and crowd - a first-time NASCAR experience. 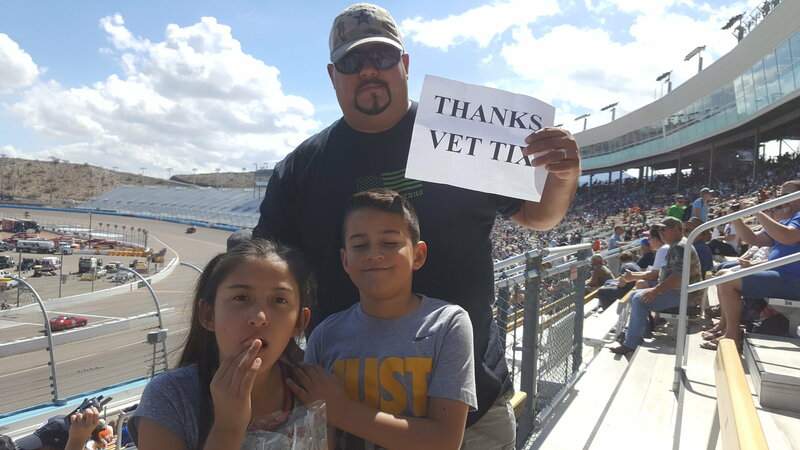 Thanks VetTix, Thanks PIR ... now ISM, for the generous hospitality. Looking forward to the updated/upscale facility this November. 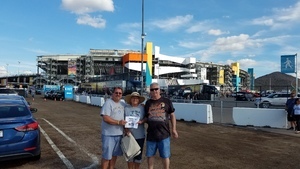 Thank you very much for the opportunity to attend the NASCAR race yesterday. 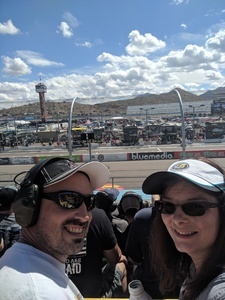 The seats were amazing and we had a great time. We would need ever had been able to go without your help. It was very much appreciated. What a great day at the races! 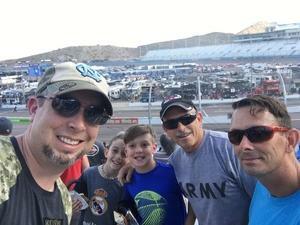 Thank you Phoenix (ISM) raceway and Vet Tix! Really appreciated the great seats and going to the NASCAR race! Thank you for the opportunity to experience a wonderful event. 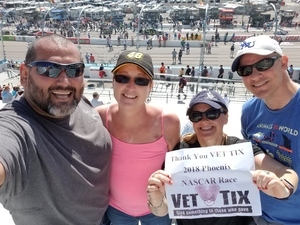 Thank you VETTIX, what great seats to a great race! Thank you Phoenix International Raceway and VetTix for the tickets , me and my family enjoyed are first NASCAR race. It was and awesome experience. 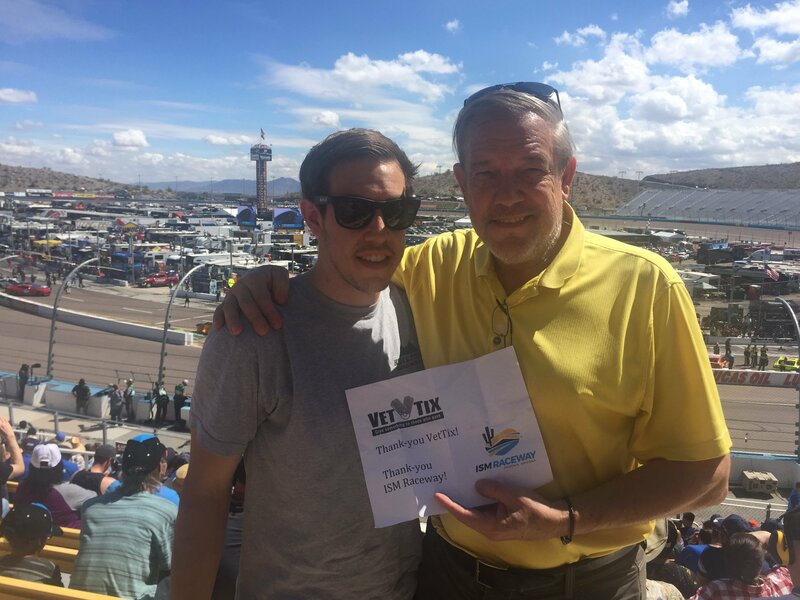 Thank you to Phoenix International Speedway for donating the tickets. 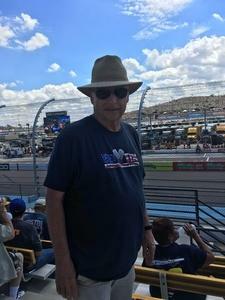 I got to enjoy the race with my father and brother in law who are both veterans. 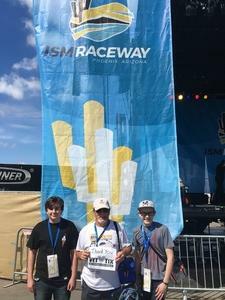 My son and nephew also enjoyed the race as well. 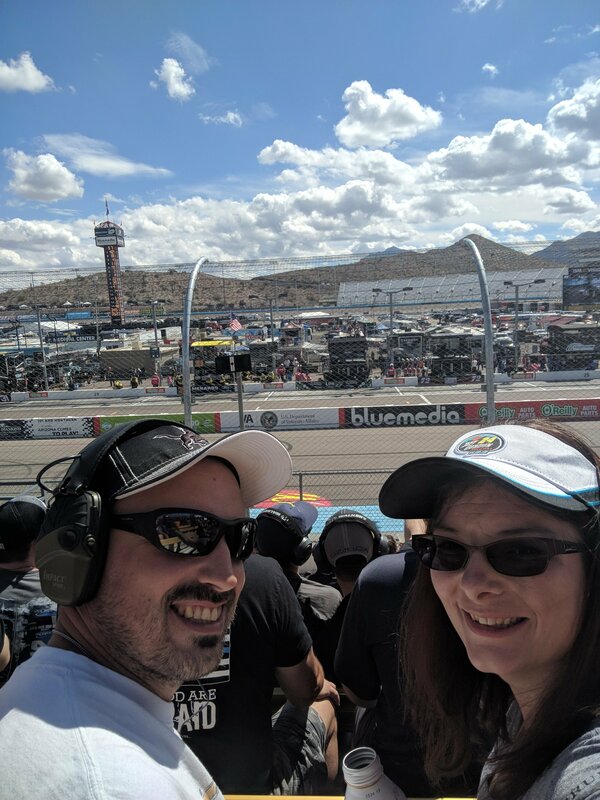 We were right in front of the victory burnout! What a race! 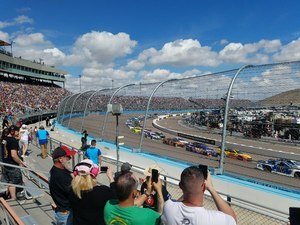 Might be the best race I have ever been too. Thank you for a wonderful experience with family and friend! PS- I can’t wait to see the new track configuration and amenities! What a great race. 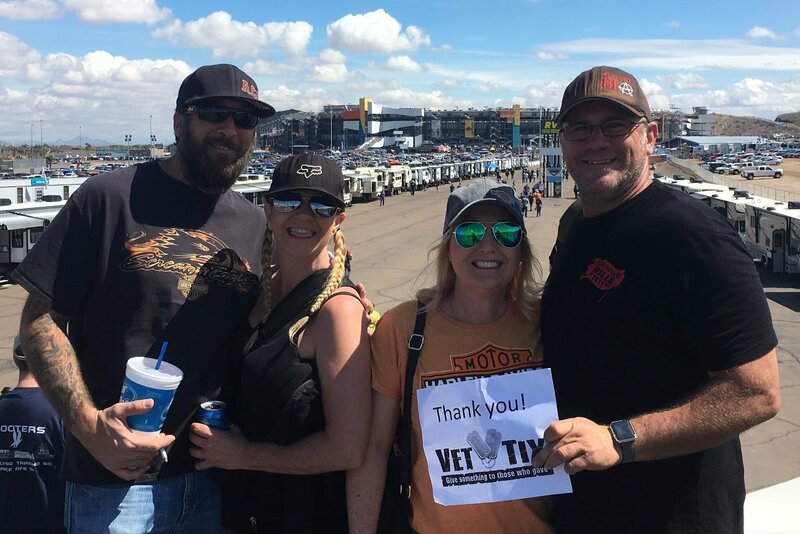 Thank you so much for donating these great tickets to the Vet Tix organization. My sons and I had a great time. We tailgated prior to the race and had a very enjoyable day. PIR has a been a consistent supporter of Veterans and with the great expansions and investments going on at the track, it looks like you will continue that in the future. I will always support PIR. Thank you again for the great day of racing. 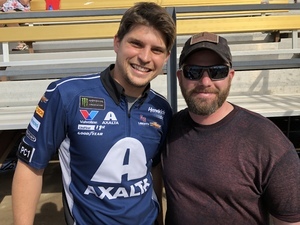 Thank you so much for the chance to not only see NASCAR but to also see my cousin who works on the circuit. 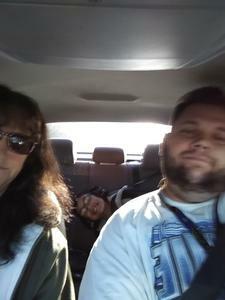 Me and my family had a blast. Seats were awesome and much appreciated. A wonderful experience. 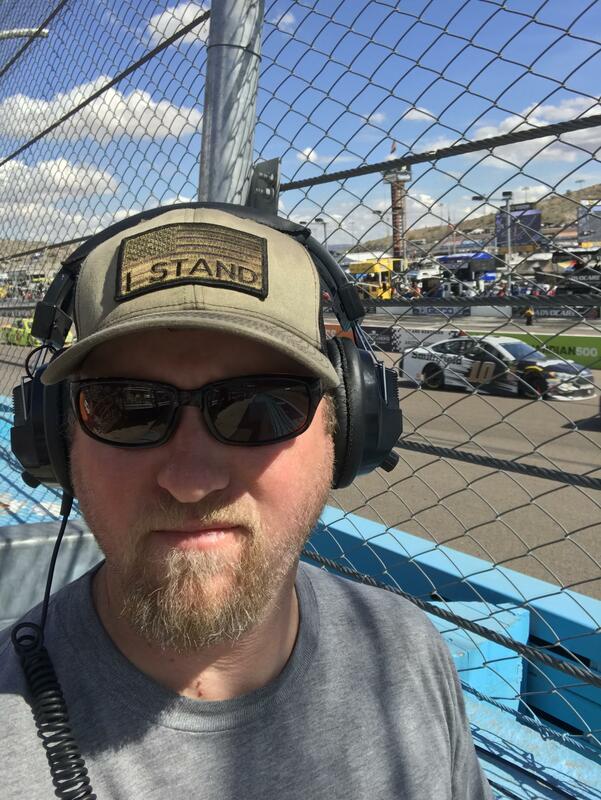 What a surprise that i get to see NASCAR racing. The players/drivers were young but they have the experience needed to race. Thank you for allowing me to go. 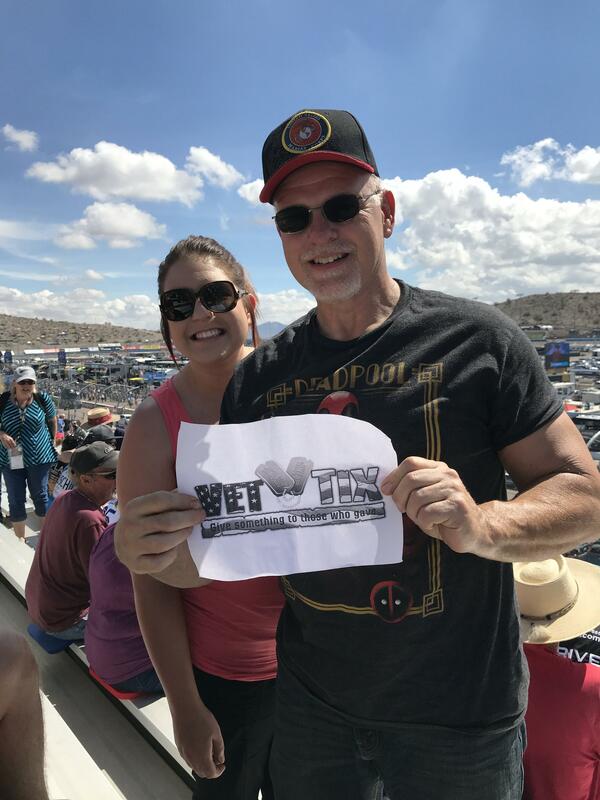 THANK YOU for our tickets. We took our daughter and granddaughter and had an AWESOME time.... we appreciate this gift so much... God bless you and keep you. 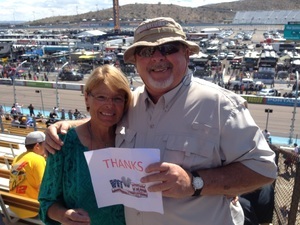 Thank you Phoenix International Raceway for donating tickets to the race. My family and I had a great time at our first NASCAR race.